It has been nearly half a century since Commander Gene Cernan of Apollo 17 became the last human to walk on the moon. But in September, SpaceX CEO Elon Musk announced the #dearMoon project — a week-long trip aboard SpaceX’s Big Falcon Rocket (BFR) to and from lunar orbit in 2023. 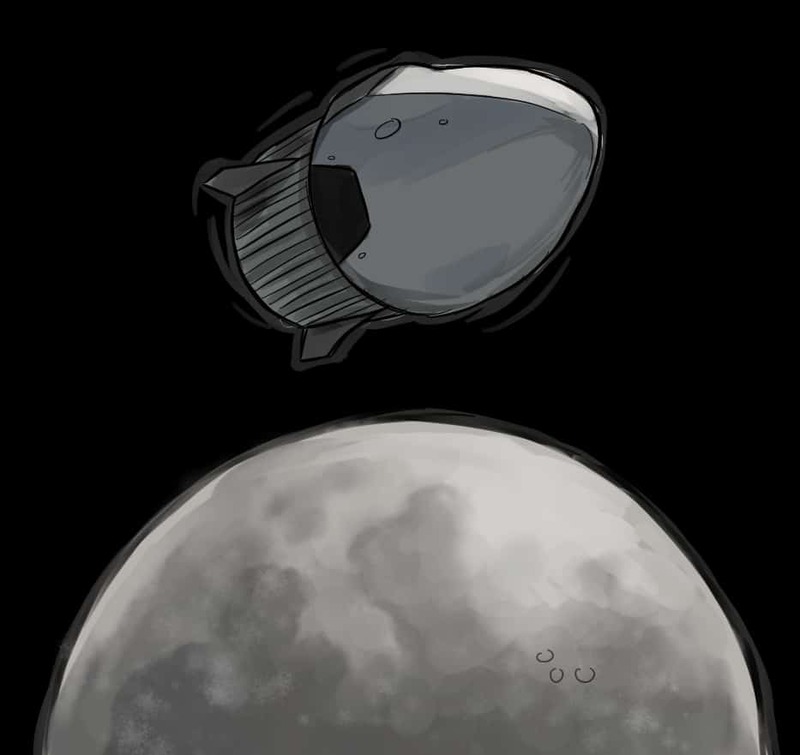 Their team plans to traverse the traditional circumlunar trajectory, and take advantage of the gravity of the Earth and moon to point the ship in the right direction, rather than relying on brute engine force. How has technology changed since the end of Apollo program? NASA built the Saturn V rocket to send astronauts to the moon as part of the Apollo program in the 1960s and 1970s. It later replaced the distinctive black-and-white rocket’s design in favour of the reusable Space Shuttle, a more mass-efficient alternative. Rockets have seen developments since the 1970s. According to Jacob Weber, an engineering student in the University of Toronto Aerospace Team’s (UTAT) Rocketry Division, changes to rockets have been largely economical. In particular, Weber pointed out that the fundamental design of the popular Soviet/Russian series of Soyuz spacecraft has remained largely unchanged since the 1980s. One of the main selling points of Space Shuttles is their reusability. Traditional rockets are composed of a number of stages — sections of a rocket that contain an engine or a cluster of engines. They break off after use and are either scrapped or recycled upon falling to Earth. But SpaceX has made its name with rockets that are partially-reusable, comprised of a first stage that can land upright to be refueled and relaunched, topped by a disposable second stage. The Falcon 9 rocket made its maiden voyage in February, carrying Musk’s now-famous Tesla Roadster. Its strengthened version, the Falcon Heavy, can carry a larger payload than any currently operational spacecraft. The BFR is composed of two fully-reusable stages, a booster and main body, both of which will be able to ‘soft-land’ upright. It is set to become SpaceX’s flagship rocket, and will eventually supplant their current line of spacecraft to become an all-purpose vehicle. “Looking at the concept images and what’s been released of the design so far, the obvious improvements are number of crew it can carry… as well as the ability to carry a significant payload along with this crew,” wrote Weber. SpaceX’s BFR can carry one hundred passengers, which greatly exceeds the three seats available on the Apollo missions. Its ability to carry a significant payload in addition to crew is also a plus. “The BFR is also probably going to be a lot roomier than the Apollo capsule was, with all more modern controls and user interface elements which should be a better overall experience for the crew and, based on the artist renderings, give them a nicer view,” wrote Weber. While still a half decade away, #dearMoon and the development of the BFR invite anticipation regarding the near future of spaceflight. According to UTAT Executive Director Ridwan Howlader, such ambitions are echoed by budding space explorers. “SpaceX is doing some very exciting work to enable organizations and industries all over the world to make use of the space environment. Their ability to overcome challenges has allowed them to come up with Moon missions, Mars colonization missions, as well as next generation space technologies,” Howlader told The Varsity.